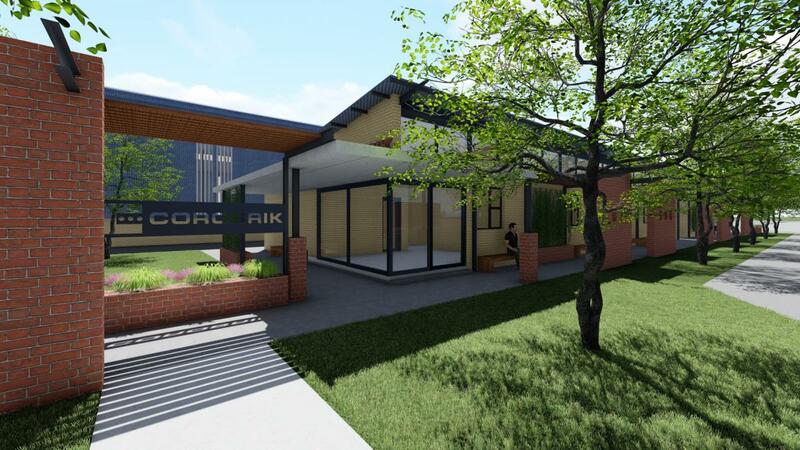 Corobrik, South Africa’s leading brick maker, has embarked on a multi-billion rand investment roll out to grow its business and develop new markets over the next five to six years. Dirk Meyer, the chief executive of Corobrik, said this week that the lion’s share of the initial R1-billion allocated during 2017/8 would go towards a R800 million mega factory that will be built alongside its existing Driefontein factory in Gauteng. It is due to be commissioned in 2020. This is the largest project of its kind underway worldwide at present and will deliver a face brick factory that is the biggest and most environmentally friendly in Africa. He said this was likely to be followed by another mega factory on the East Rand, with future expansion in KwaZulu-Natal and the Western Cape within the next five to six years. Corobrik currently operates 13 clay brick factories and 14 kilns countrywide which produce a mix of plaster and face bricks for the residential and commercial markets. It also has two concrete operations in Durban which supply concrete paving and retaining walls. The company converted two further kilns to clean natural gas in 2011 and was the first South African company to sell carbon credits. It produces a billion bricks per year and sells about four million bricks per working day. Meyer said that the new Driefontein facility would produce around 100 million bricks per year - double that of the existing facility there – and use only a third of the energy currently used by its predecessor where the 30 year-old kilns are outdated and not fuel efficient. The new, sophisticated kilns will be fully automated. Once the new facility is fully operational, the obsolete older facility will be shut down and demolished. In addition, the new operation will produce zero waste. Meyer said that state of the state-of-the-art technology would be supplied and commissioned by German supplier, Keller, which has been in the industry for over 100 years. The design phase of the project began two years ago. Last year, the company completed an intricate audit process to investigate three different manufacturing processes. This culminated in the signing of the agreement with Keller in January this year. He said that, while the equipment itself would be manufactured offshore, it would be installed using local expertise and labour. Meyer said that Corobrik was constantly working closely with architects and the construction industry to ensure bricks remained fashionable and relevant. The new Driefontein factory would enable the company to not only produce more of its tried and tested products but also to introduce new high-quality face bricks in different sizes, formats and colours. 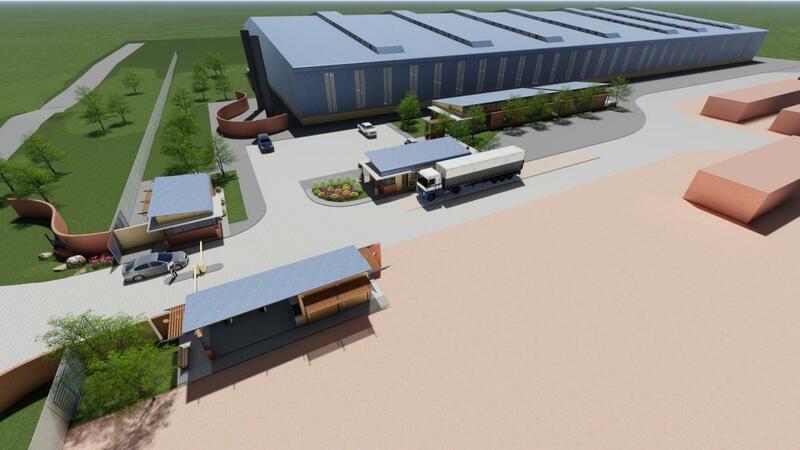 Meyer added that the new Driefontein facility would follow in the footsteps of the Rietvlei facility which Corobrik had developed into its first mega factory. This had clearly shown the advantages of using the latest technology to produce a high-quality product. “We believe it will lower the cost of manufacture whilst significantly improving the quality of our product. This will not only improve efficiencies and grow existing markets but allow us to develop new products and income streams on the back of projected economic recovery in the country. This fits perfectly with our objective of growing the company organically,” he pointed out. In January this year, Corobrik commissioned a R65 million upgrade to its Rietvlei factory. This upgrade included the purchase of a blending dehacker which automatically blends bricks off the line and packages them in a convenient format. The first person to touch these bricks is now the bricklayer on site. Meyer said similar technology would be incorporated into the Driefontein development. Corobrik’s investment in its existing facilities during 207/8 also includes R10 million at its East brick factory where a robotic setting automates the packing of green bricks onto kiln cars to be fired. R1 million will also be spent at Middlewit, R12 million at its Springs factory and R30 million at its Midrand factory. Refurbishment of the special extruder and cutter at Phesantekraal in the Western Cape means that the factory can now produce Corobrik’s full range of special shapes. Meyer emphasised that although the new equipment was highly automated, this would not lead to job losses. Instead, employees now had opportunities to increase their technical know- how. Substantially growing the company’s turnover and profits would ultimately benefit all employees, he said.